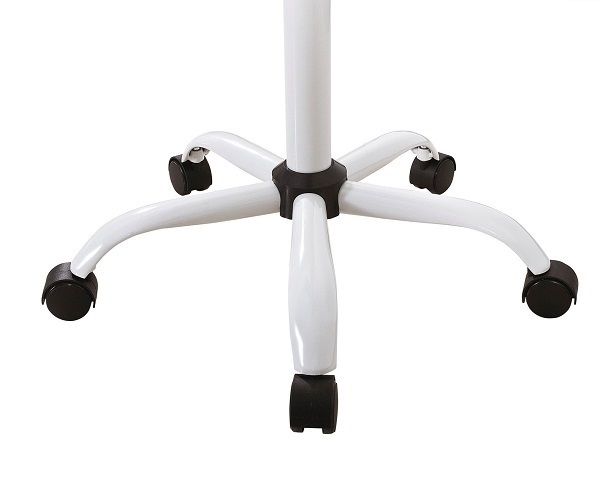 Ultra premium flipchart stand with magnetic glass whiteboard surface on single support and castor wheels. Internal spring assisted height adjustment (from 1550 mm to 1920 mm) to suit all users. 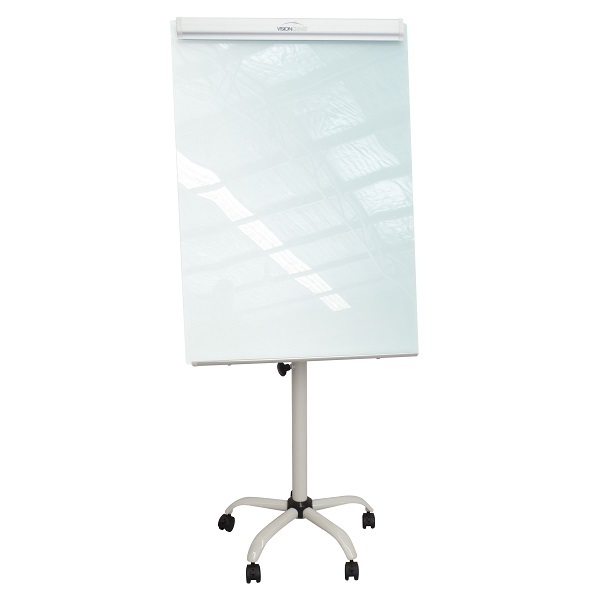 Magnetic Glass whiteboard working area 960 x 700 mm with 25 year warranty on writing surface. 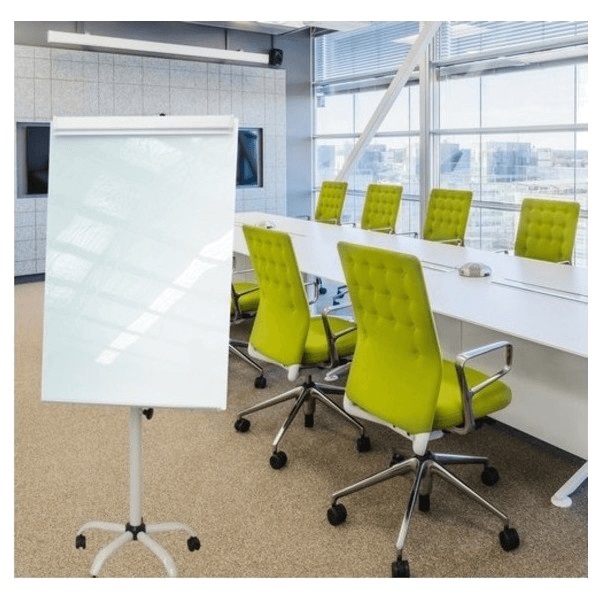 This magnetic white glass surface never stains... and accepts any marker! Super modern design with heavy duty stand, locking castors and pen shelf. 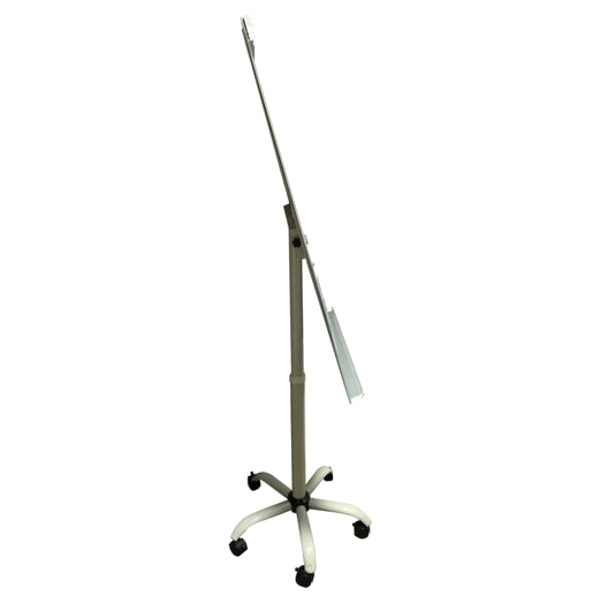 Adjustable brushed aluminium paper clamp accepts all flipchart pads with holes. Complete with BONUS magnetic eraser and 3 strong magnets. Ideal for your boardroom, meeting room(s) and/or conference facilities. Mobile communication... wherever you are!